ROME — Malaria killed a 4-year-old girl in Italy, raising fears that the mosquito-borne disease has returned to the country after decades. Sonia Zago developed a high fever after returning home from a vacation in Bibione, a seaside town on the Adriatic coast near Venice. As her condition worsened, she was taken to a hospital in the northern city of Trento. Within an hour of arriving, the girl had fallen into a coma and was diagnosed with malaria. Zago was then transferred to a hospital in Brescia that treats tropical diseases, but she died on Sunday night. The girl had never traveled to a risk-prone country, raising questions about how she contracted the disease. "It baffles us how she could have been infected"
The Ministry of Health confirmed Tuesday that it had dispatched a team of experts to investigate. 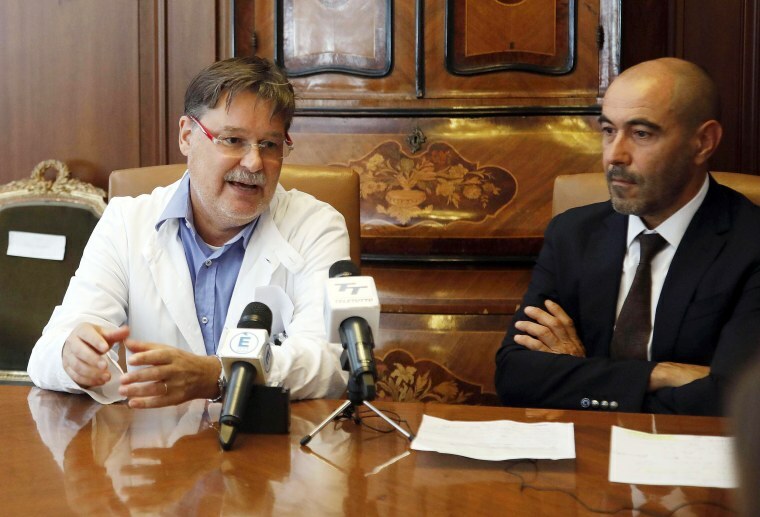 Dr. Claudio Paternoster, director of the infectious diseases ward at Santa Chiara hospital in Trento, said that he had not seen a case of home-grown malaria during his 30-year career. He said that Zago had been admitted to the facility about two weeks ago due to suspected diabetes and had shared a ward with two children who had contracted malaria while in Burkina Faso. "It’s not probable, almost impossible, to pass on the [parasite] from patient to patient," Paternoster told NBC News. "So the only option I can think of is that the mosquito that carried the disease may have traveled to Italy, and survived somehow." Italy has been malaria-free since the 1950s, with most recorded cases linked to tourists who returned from countries where it is common. Paternoster speculated that climate change may be to blame. ”It was a long and very hot summer," Italian daily Corriere della Sera quoted Paternoster as saying. On Tuesday, the World Health Organization was hosting a meeting in Moscow to discuss how to keep Europe malaria-free. Zero cases of home-grown malaria were reported in Europe in 2015. The WHO says Italy could be vulnerable to a return of malaria if mosquitoes are not properly controlled. Malaria is caused by a parasite that has a complex life cycle dependent on both animals, including humans, and mosquitoes. CORRECTION (Sept. 5, 2017, 2:45 p.m. ET): Due to a mistranslation in a quotation from Dr. Paternoster, a previous version of this article incorrectly described the nature of malaria. It is a parasite, not a virus.